Come join us on Sunday morning for our worship service and introduce yourself. While it can be a little intimidating to visit a new church, visitors to FCBC are always welcomed. In fact, we’ve been told by many visitors after a visit to a Sunday service that we’re extremely friendly. Well, we’re always encouraged to hear something like this. Guests are never accosted, but always warmly invited to just slip into a service, or to stay a few moments and make connections with our greeting teams. The choice is always yours. And if you decide to return for future visits and you’d like a member of our leadership team or the pastor to contact you, we’re always more than pleased to have a chat with you in person or by phone. 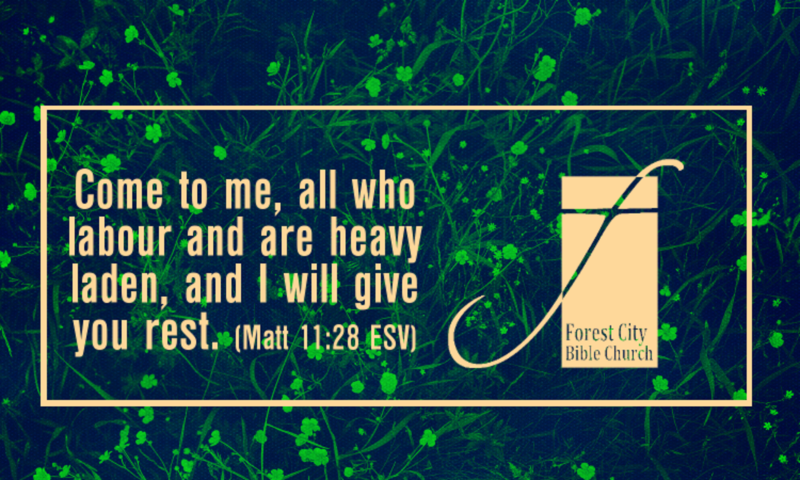 Welcome to Forest City Bible Church!